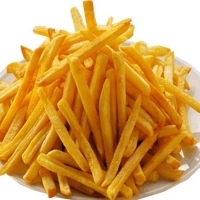 Browse dehydrated-potato suppliers by country and region. Soybeans, polish wheat, chickpeas, organic soybean meal, wheat flour, chakki fresh atta, maida, bakery flour, biscuit flour, semolina, garlic, dehydrated garlic, organic wheat, gram flour, curry powders, musturd seeds, cumin seeds, fennel seeds, fenugreek seeds, organic coriander seeds and powder, coriander seeds, organic chilly powder and dried red chilies, durum wheat, durum wheat semolina, durum wheat powder. Short on time? Let dehydrated-potato sellers contact you. Agricultural products like potato, fresh and dried ginger, onion, fresh and dried garlic, wheat flour, rice, nuts like cashew nuts, peanuts, fruits like mango, coconut and raisin, home textile like towel, bed sheets, pillow, curtains, carpets and mat, cushion covers. Dehydrated vegetables, dehydrated onion (red/white), dehydrated garlic, dehydrated chillie, dehydrated potato, dehydrated carrot. Dehydrated potato powder, dehydrated potato granules. Dehydrated caraway, dehydrated red bell pepper, dehydrated cabbage, dehydrated onion, dehydrated garlic, dehydrated carrot, dehydrated scallion, dehydrated potato. Dehydrated onion, dehydrated garlic, dehydrated potato, dehydrated greem chilli, dehydrated spices. Dehydrated onion, garlic & vegetables, dehydrated white/red/pink onion kibbled, chopped, mince, granule, & powder, dehydrated garlic kibbled, chopped, mince, granule & powder, dehydrated tomato powder, dehydrated ginger powder, dehydrated tamarind powder, dehydrated mint powder, dehydrated spinach powder, dehydrated carrot kibbled & powder, dehydrated cabbage kibbled & powder, dehydrated green chilly kibbled & powder, dehydrated potato flakes & powder. MSG monosodium glutamate, dehydrated garlic, dehydrated onion, fresh peeled garlic, dehydrated vegetables. Dehydrated & fresh oyster mushroom, fresh button mushroom, dehydrated onion, dehydrated garlic, dehydrated potato powder. 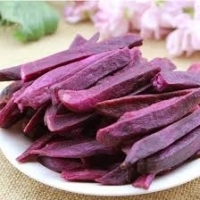 Dehydrated vegetables, such as dehydrated carrot, dehydrated potato, dehydrated tomato, dehydrated white onion, dehydrated lettuce, dehydrated cabbage, dehydrated chive and healthy food.